Symbaloo is a free social bookmarking tool for organizing and storing all your digital resources in the cloud. You can categorize your resources, share and access them from any device. If you don’t already have a free Symbaloo account, then you will need to go to Symbaloo and sign up for their free version. Once you have created a free Symbaloo account you are ready to start adding Symbaloo webmixes to your posts and pages using their embed code. 2. Now just give your page a title and add your content. 3. 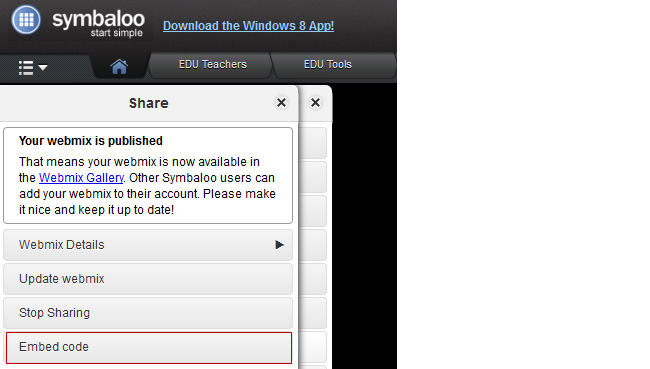 Copy the embed code for your Symbaloo webmix. 4. Place your cursor in the post or page wherever you’d like to insert your Symbaloo webmix, and click the Add Media button. 5. Click on Insert Embed Code. 6. 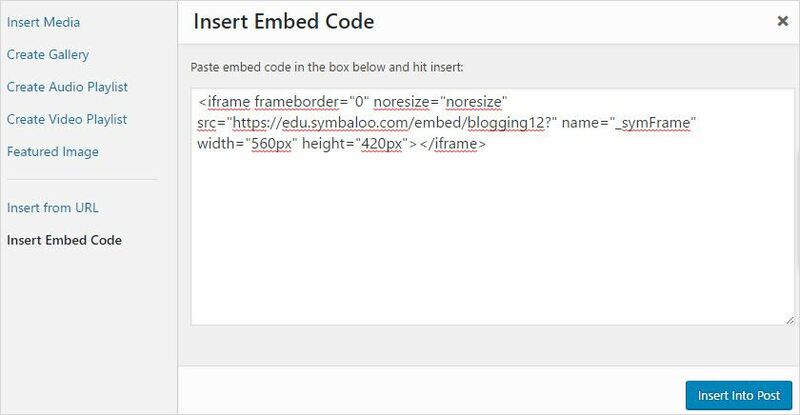 Paste the embed code into the Insert Embed code box and click Insert into post. 10. When you have finished writing click Publish. 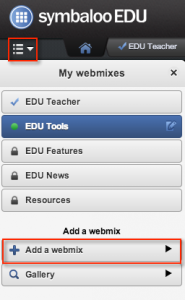 There are several ways to create Symbaloo webmixes, and to find existing webmixes to use on your blog. 1. First, log in to your Symbaloo account. 2. Click on the menu icon in the top left corner of the page. Then, select Add a Webmix from the menu. 2. 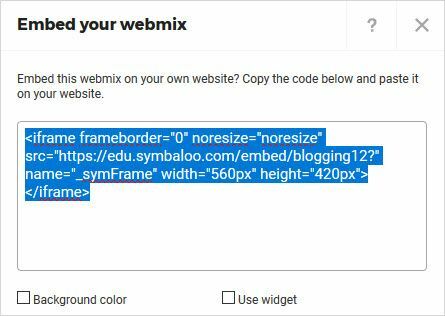 You will then see the “Add a Webmix” window where you can either (A) create a new blank webmix, (B) search for an existing webmix, or (C) use the Quick Start tool to assist you in creating a new webmix. For more information about using Symbaloo, please refer to their User Guide.